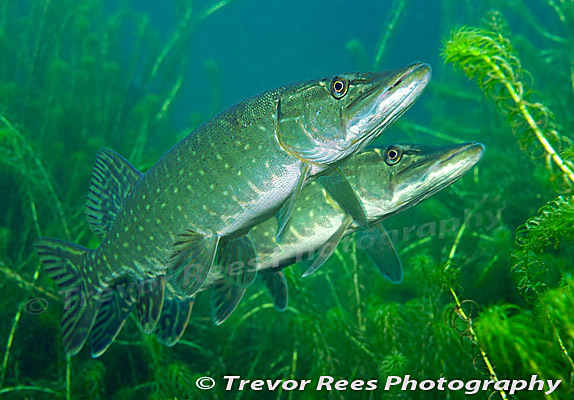 This time it's a two pike image that wins a competition. Two pike (Esox lucius), from Stoney Cove quarry in Leicestershire. A winning image from the BSoUP's monthly Focus On competition for the theme 'Two of something'.